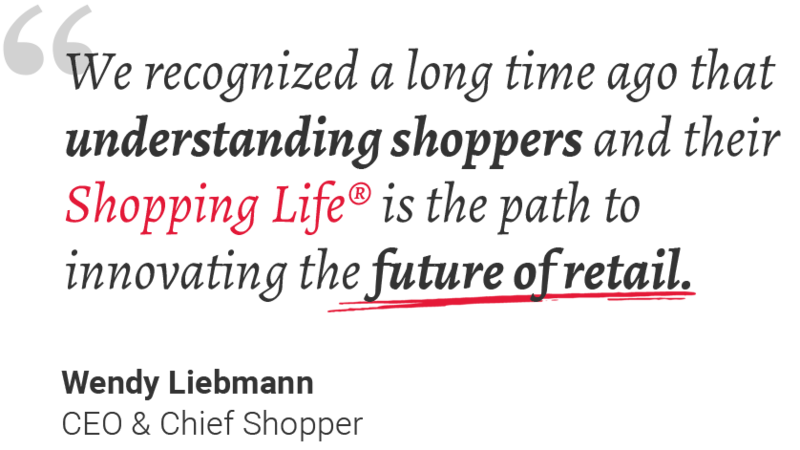 Pharmacy, in-store clinics and other health-care initiatives are altering the drugstore retailing landscape. What role will beauty play as drugstores evolve to a more health care-centric format? The question is whether CVS’ $69 billion acquisition of health insurance giant Aetna; Walgreens’ partnership with insurer UnitedHealthcare, which will feature urgent care clinics, and Albertsons’ merger with Rite Aid will shift the culture of drugstores far away from beauty. Albertson’s, in fact, said it plans to convert the Rite Aid standalone pharmacies into wellness stores. “As you invest in nurses and equipment, does front-end merchandising get distorted?” pondered industry consultant Allan Mottus. With the pharmacy already producing about 70 percent of drugstores’ volume, some fear the slow-turning cosmetics business could come under even greater scrutiny. On Thursday, Procter & Gamble, which sold off 41 beauty brands to Coty in 2015, put its confidence in the health-care market with the announcement it was buying the Consumer Health business of Merck KGaA for $4.2 billion. P&G president chief executive officer David Taylor said the company likes the steady, broadbased growth, of over-the-counter brands. Merck’s lineup includes items for joint and back pain, colds and headaches. The health-care push can put retailers in a vise when it comes to space, according to Brian Tanquilut, research analyst at Jefferies, who zeroed in on CVS as an example. “They want to add services, such as clinics, labs, optical and hearing centers. But in doing so, they’ll need to repurpose front-end square footage for these new offerings,” he said. “That means stockkeeping unit reductions, which will likely impact more product categories, including beauty.” On a more optimistic note, Tanquilut added attractive margins in beauty will spare it versus other categories such as consumables. Exacerbating the situation is the fact that sales of cosmetics in the food, drug and mass channels are diminishing. Less than 15 years ago, mass stores accounted for 51 percent of the beauty business. Today, with shoppers migrating to e-commerce, specialty stores and refreshed department stores, that share has dropped to an estimated 45 percent of the $86 billion beauty and personal-care business in the U.S., according to Euromonitor. Conversely, the prestige sector is booming, accruing sales increases of 6 percent last year, according to The NPD Group, while mass volume was flat. Research from WSL Strategic Retail found the percentage of women who said they most often shop for beauty at drugstores dropped from 25 percent in 2012 to 19 percent in 2016; specialty climbed from 11 percent to 15 percent. The question increasingly is whether drugstores are still relevant in the beauty business. That is a major issue on the front burner as retailers and beauty brands meet at the National Association of Chain Drug Stores Annual Meeting in Palm Beach, Fla., from Friday to Monday. Representatives of more than 30 cosmetics and personal-care companies will meet with executives from almost 60 retail operations. The list includes traditional drug chains, such as Walgreens and CVS, but also Amazon, Ulta Beauty and Walmart. “Will it [beauty] become so insignificant as to be meaningful to get the level of attention and marketing dollars the category needs to stimulate sales?” asked Stephanie Wissink, managing director at Jefferies. CVS, one of the chains at the center of the chatter, insists it firmly supports its beauty efforts. “CVS Pharmacy is one of the largest beauty retailers in the country and we continue to expand and grow the beauty category in-store and online,” said Maly Bernstein, the retailer’s vice president of beauty and personal care, noting that growth in beauty at CVS is outstripping the mass market. CVS has added numerous brands, including more than 2,000 natural, organic or naturally inspired choices along with K-beauty ones. The company also revealed plans to abolish airbrushing of its beauty collateral images. “This April, we launch one of our biggest beauty marketing campaigns in print, online and TV with Beauty in Real Life, a campaign highlighting real women representing broad diversity and showing beauty on their own terms within ‘reallife’ beauty moments,” Bernstein said. With more than 8,100 doors across America, Walgreens is a formidable force in beauty. Industry sources said the chain produces a higher percentage of sales in beauty than many mass channel competitors. The company is on a plan to elevate its beauty departments, with 2,900 now having undergone a facelift. The strategy appears to be working: Walgreens’ elevated beauty concept complete with testers, premium brands such as No7 and trained beauty consultants is netting results. “Those stores where we have elevated [the look and assortment] are growing faster than the rest of the chain,” Brindley said. Digger deeper into that, she said Walgreens is teaming its pharmacists and trained beauty consultants to provide advice and recommendations on the appropriate sun care regime and proper SPF application. An example includes a pharmacist and beauty consultant collaborating to provide a consult to a patient who is on medication causing sun-sensitivities. Having a pharmacy also affords the retailer the advantage of selling skin care, from the latest Korean masks to prescription dermatological treatments. “You can’t be beautiful without being healthy,” said Stefano Curti, global president of Markwins Beauty Brands, who, three months into his new role, is leveraging his background in companies such as Genomma Lab Internacional, Pfizer and Johnson & Johnson to keep Markwins in tune with the changing landscape. The firm’s Physicians Formula brand fits snugly into the drugstore’s new role, said Alice Chen, Markwins’ vice president of marketing, citing the brand’s new advisory board consisting of a dermatologist, allergist and plastic surgeon. Still, all agree that the drugstore environment needs an upgrade. The tasks include bringing faster innovation to the market, amping up service such as beauty testers, and moving away from highly promotional deals. The challenge will be most daunting for the large brands. “The long tail of excessive sku’s [in beauty] is going to get evaluated more aggressively,” Wissink said. “Brands that are designed on a slow-moving [traditional] CPG chassis with new products that take 18 to 20 months to launch face intensifying competition from brands with sports car speed that are more agile and responsive.” She added that brands with a health-care positioning, especially skin care, will drive drugstore traffic. “We are going to see a major shift in retail as we know it and it will be greatly different in 10 years,” said Ingrid Jackel, ceo of Yes To Inc. “Beauty is about self-care, a component of a bigger movement to self-love. The first retailer merchandising beauty to realize that connection will win the game.” She cited the explosive growth of masks as a category appealing to shoppers looking to pamper themselves. Leveraging both her experience on the retail side from Walmart and Walgreens with her role as senior vice president of North America Consumer Beauty at Coty, Shannon Curtin believes now is the chance to kick up a rise in growth and revenue of the cosmetics department. With new health-care options, consumers have even more reasons to visit drugstores, especially as Americans take their health more into their own hands. “It is the time now to ask, ‘How do I create extra value?’ Instead of doing price promotions, what else can I give [shoppers] for a better experience,” Curtin told WWD. “So, you’ll see retailers start buying other entities that can create value for them. It is natural to see drugstores evolving into a place that has a real purpose around health — that’s going to help their relevancy.” Beauty plays a key role in that picture. “Evidence supports it is important for beauty to be in there. Still over 76 percent of the customers that go through those registers are female. And when she shops for her family and herself, the highest cross purchase is between beauty items and personal care. And you have a basket with higher margins,” Curtin said. Several retailers are starting to make headway. “CVS, for example, has done a tremendous job focusing in beauty with more K-beauty and experimenting with how to better merchandise natural,” said Jackel, who also praised the company’s recent adaptation of a no-airbrush philosophy in the beauty category. Meanwhile, drug chains have committed to support more high-touch experiences that draw shoppers, especially younger ones, into stores. But as research from Piper Jaffray Cos. on teen spending illustrates, the mass channel faces significant headwinds in that goal. Nary a drugstore made the top shopping destinations in the research with those surveyed in the 13 to 19 age range picking Sephora, Ulta Beauty and then Target as their top spots. The specialty channel was pinpointed as their number-one location, up a whopping 71 percent over the same study last year. A few strategies Curtin suggests other than coupons to attract shoppers include using mobile in beauty, mimicking what chains do as far as alerting consumers to prescription refills via an app. Also, she pointed to technology breakthroughs such as Coty’s Let’s Get Ready in conjunction with Amazon Echo Show. It offers consumers a way to not only shop across several Coty consumer brands — Rimmel, Max Factor, Bourjois, Sally Hansen and Clairol — but to learn different beauty looks. Coty brands are also favoring shoppable Instagram posts that connect looks followers like with a drugstore retailer that sells the required products. Coty isn’t the only heritage mass company trying to keep up with nimble foes. The other leading firms are all boosting social strategies, adding more inclusive brands and rushing value-priced options to prestige lines into the store mix. “Brands are all upping their game. It [the effort by heritage lines to keep up] is making us all be better,” Brindley said. Still, beauty is known for slow turns and with the move to more of a health-care image, drugstores could continue to face challenges luring younger consumers, who as they age, might not return to drugstores. “The image of a clinic isn’t going to appeal to teens,” Mottus said.